I have heard so many briefings from so many groups about mortgage difficulties, distress, and the impact of rent increases, that I feel I have all the facts and I do not think there are any more facts that the Housing Committee could have been given. On Thursday last I made the points below in the Dáil, and in particular that the time for talking is over, the government needs to move now to solutions, many of which were put to the committee and are incorporated in the Housing & Homeless Committee report. If there was ever a simple answer to a complex problem, the construction of more houses and accommodation would be it for the housing crisis and we have all seen the cranes, there is no doubt that building has started. However, the question is whether what is being built will make a difference to the housing crisis. The question I put to the Minister is, who are we building for? My concern is that we are building to support foreign direct investment and the accommodation needs of people coming here to work in the companies we are trying to attract to Ireland or who are already here. While I obviously value employment greatly, the housing of people in this country who are in dire straits must come first. As a result of Brexit, more companies could move to Ireland. Those companies will also be looking for accommodation for their employees, which will to lead to much greater competition for housing than anticipated. Local authorities must be encouraged, pushed, incentivised and intimidated into building quickly. One of the priority recommendations is that the social housing stock owned by local authorities and approved housing bodies be increased by at least 50,000 units at the rate of 10,000 per year, through acquisition, refurbishment and new build. We need more houses but if that recommendation is accepted and worked on it will make a huge difference. The provision of 10,000 units is the minimum and not the maximum required each year. I have compared what is provided for in the strategic development zone, SDZ, for the Docklands with the Dublin City Council housing list and I do not believe that what is happening in the context of the SDZ will make a considerable difference to the housing waiting lists. The situation in Dublin is the worst in the country. It is crazy that during a time of distress in housing there were voids. It was hard to believe that the previous Dáil did not treat that issue with the urgency it needed. One of the reasons for this was the crazy health and safety and insurance issue which meant that even when people vacated accommodation and left it in very good condition much of what was in it had to be ripped out and replaced. Equally, when people with skills in plumbing, carpentry and painting and so on were willing to move into houses and flats that needed repair and do the necessary work themselves and to sign whatever legal waivers were necessary to allow them to do so there was no impetus to take on board that practical solution. Another recommendation is that a housing procurement agency be established. This is not reinventing the wheel or bringing in new people, rather it is bringing together those people working on the front line in the Departments that can make a difference with the Department of Finance to work with the local authorities, the approved housing bodies and so on to be the driver of what is recommended in this report and what will be provided for in the Minister’s plan. The agency could operate for a fixed term, with a strict timeframe put in place for conclusion of its work. There is a need for such a body to draw together the various recommendations. Also, the agency would be answerable to the Minister and would ensure implementation of any recommendations within strict timeframes with the power to demand answers if targets are not met. On rent certainty and rent reviews, Members will be aware of the committee’s recommendation in regard to the consumer price index, CPI. There are others. The committee was very practical in recommending an annual review of rent certainty because rent certainty suits tenants and landlords. We do not want to go back to the days of the Land League. We have to prevent more people becoming homeless. We know that as we speak here tonight more people are becoming homeless. A moratorium on home repossessions would be excellent. Every effort should be made to keep people in their homes. We need a fixed moratorium on home repossessions while the crisis continues. The vacant site levy needs to be increased and it should be come into effect sooner. Owners of vacant sites should be incentivised to develop them or at least provide a timeframe within which they will develop them, or face increased fines. Some sites, as well as houses, have been derelict for years. The Census will provide us with more information in this regard. A council by council audit has been called for so that the Minister and the committee will know exactly what is available and what can be moved on. We heard practical suggestions in regard to finance off-balance sheet. We heard from groups who are prepared to provide the finance, including the Housing Finance Agency, the Ireland Strategic Investment Fund and the credit unions. It is also recommended that NAMA should have a greater role in providing social and affordable housing. 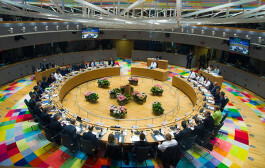 The European Commission also has a vital role to play in that regard. We have obeyed all the rules and we deserve some flexibility in this area. My concern is for particular groups whose housing needs are very far down the pecking order, including those in recovery from addiction, those with mental health issues and disabilities, those leaving prison, Travellers, the new communities, those still in direct provision and, as mentioned by the Minister, the refugees from Syria. It will be difficult to resolve all of that and I fear that those people and people on the waiting list for social housing will get lost in the big picture. The issue of student accommodation was also discussed by the committee. There are communities that I represent that are concerned with the preponderance of student accommodation being developed. I believe that accommodation should be on-campus. We did agree that the needs and the wishes of the communities would also be addressed. I do not understand how the cost of the modular housing which was supposed to be approximately €50,000 or €60,000 per unit has increased significantly. If we could provide that type of housing much quicker it would make a difference. There are many other good examples of housing providers, such as Sophia Housing in the inner city which the Minister recently visited. We can do it right when we get our act together. The Committee on Housing and Homelessness: The talking has to finish. 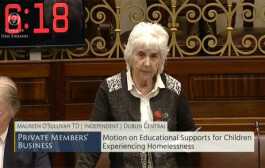 The Committee on Housing and Homelessness worked to a tight timescale from 20 April to 17 June. It was intensive and we were aware that all the time we were talking and listening to the presentations, more people were being made homeless. With hindsight I feel it may have been better for the committee to concentrate on four aspects instead of covering the very wide range of issues we did. However, we laid considerable groundwork which I hope the Oireachtas committee will build upon and not go back over what we did. We met so many groups, including housing associations, local authorities, architects, planners, banks, Ministers, Department officials, property owners, NAMA, the NTMA, the RTB, residents and also people living in homeless accommodation. Some of the latter are here tonight to listen to this debate. Many of them have also met the Minister and the previous Minister. They took part in the emergency conference that the previous Minister, Deputy Alan Kelly, held after the death of Mr. Corrie. 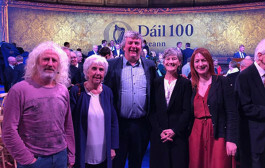 Many of them attended the conference this morning in the Mansion House. My conclusion is that the talking has to finish. If we counted the number of hours spent on statements on housing and homelessness in the Dáil, Seanad and committees the result would be staggering. 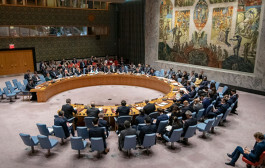 When the committee Chairman, Deputy Curran, launched the report in the AV room on 17 June, each member of the committee had an opportunity to contribute. I said I felt we were talked out on this topic and that action was needed now, rather than more talking. I know there is no quick-fix solution but the issue has gone from bad to worse in the last ten years, even though the root causes go back further. The Celtic tiger certainly did not help. Before any groups came in to make their presentations, the committee asked them to focus on constructive solutions and suggestions on how to solve the housing crisis. 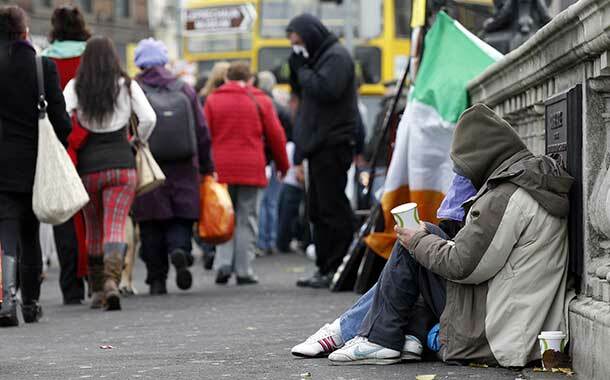 We know the sad statistics of those who are homeless and in emergency accommodation. It is heartbreaking for me to listen to the stories every day from people and to have to tell them that they are number 400 or 900 on a housing list, particularly single men who are neglected in terms of the housing being built. Single men did have options on the choice-based lettings but there is not as many of those available now. I acknowledge the work of the Chairman and thank him for his impartiality, good humour and grasp of the issues. I also thank the committee staff who did amazing work in regard to the presentations and all that was being said. The committee has done the ground work and its report is to be built on.